USANA, word! 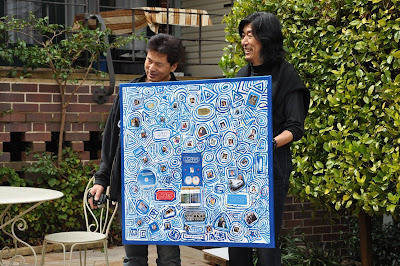 : USANA Team Work – Picture Perfect! If you look at the paintings and think they are masterpieces displayed in an art gallery, then you are wrong. These paintings are masterpieces, but are painted by USANA Associate leaders and the corporate staff from the USANA Australia office, during the artwork workshop of USANA Annual Leadership Seminar 2011! 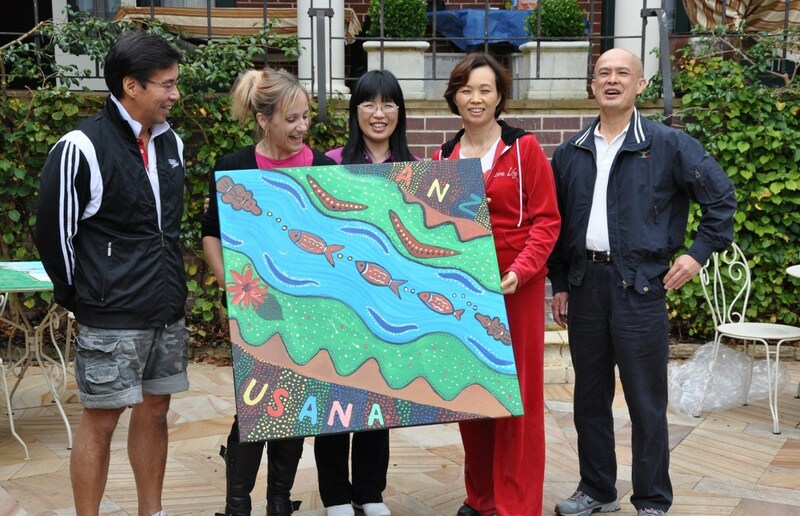 While we had a great success on sharing views and ideas with each other and built up the confidence in pushing the USANA business forward, the art competition rocked the whole event! 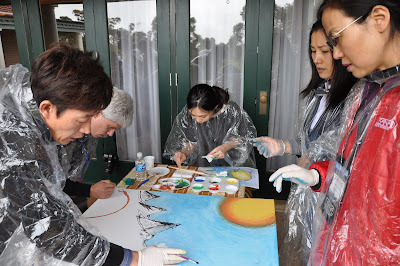 It not only strengthened the bond of USANA staff with Associates, but also demonstrated the fact that team building is the very core of a success, no matter what the success is. In the four groups, every member agreed on the theme, committed in the project and made things happen – That was how the four wonderful paintings were born. It sounds so much like the USANA business – In USANA business teams, every member understands why they are chosen to participate and knows that being part of the team will benefit their career as well. 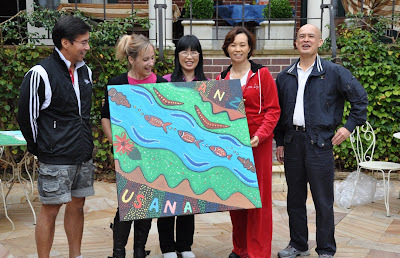 Artwork One – This painting pictures the “people” of USANA and how they interact with each other. They are all part of one big team, and the Essentials are the basis of USANA’s products. Artwork Two – Showcases the flora and fauna of the Blue Mountains, and also draws on the origins of the environment through Australian Aboriginal design. Artwork Three – The cave represents difficulties; The path is the way to success; Mountains are different levels of achievement; The top of the mountain is the bright future and the butterflies are lovely memories along the way. This is how Associates overcome difficulties when building their USANA businesses, and achieve their goals. 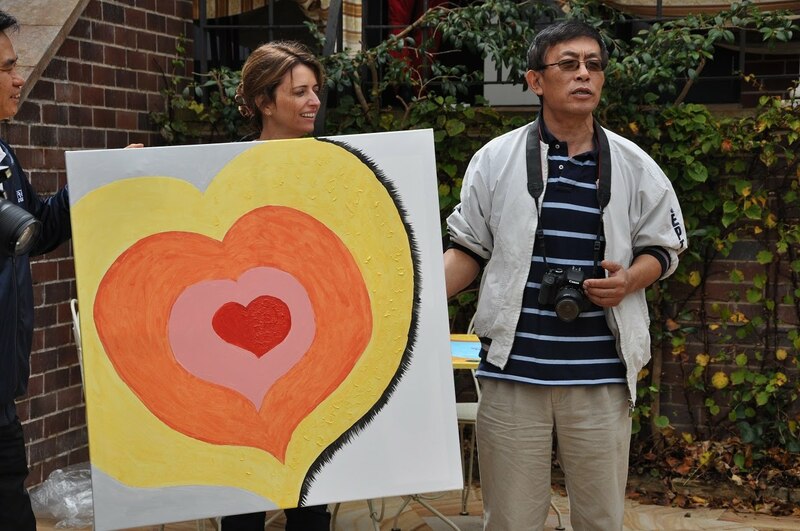 Artwork Four – The heart is the centre of this masterpiece, which reflects a warm USANA family.